Help us to develop the informational website that opens for you great opportunities for travelling, hiking and recreation around Washington State. Your gift supports photographers, developers and authors who show and tell you about all the interesting places that are worth while visiting in Washington State! Donate now! 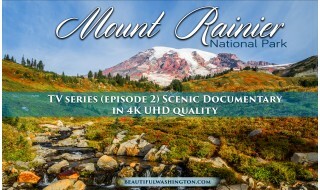 Hi Everyone and Welcome to BeautifulWashington.com ! 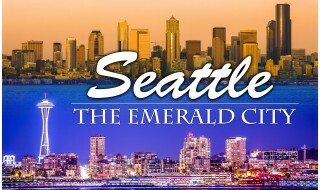 This website was launched because our team wanted to share great memories, wonderful experience and useful information about the State of Washington! Our state is big, gorgeous, and full of wonders. At our website, you will find detailed info about the most visited places of interest, description and pictures of stunning trails and popular parks. Pictures below will take you on a virtual tour through a beautiful Kamiak Butte County Park. 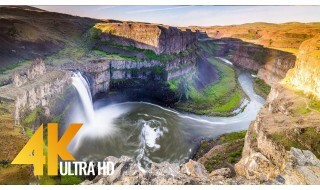 Enjoy the beauty of our beloved Washington State! Kamiak Butte County Park is a 298-acre “island” in the midst of an incredible ocean of the Palouse Area’s rolling hills. Created in 1965, this park became a real haven for the local flora and fauna of these farmlands, hosting more than 130 species of birds (among which Red Cross-bill, Goldencrowned Kinglet, Northern Flickers, Rufous-sided Towhee, owls and many more can be found here), approximately 30 species of mammals and over 170 species of various plants, some of which are considered to be endangered species. The name was given to the park in tribute to Chief Kamiakin, the leader of Yakama tribe, who left a mark in the history of Washington State by organizing in the years 1855 – 1858 an uprising, which is more well-known in the history as “Yakima Wars”. The Park has rich history, geologic significance and amazing views resulted in granting the Kamiak Butte County Park a status of National Natural Landmark. And its location close to the towns of Pullman (approximately 15 miles northward of it) and Palouse (2 miles to the south of it) and Colfax (about 17 miles to the east of it) make Kamiak Butte County Park even more attractive to the visitors, that is why if you are planning to spend a warm sunny weekend day there, you should better start earlier to find a free space in the parking lot. The 5 miles of hiking trails meandering among the unusually dense for this area forest of evergreen trees (among which are Western Larch, Douglas Fir, and Ponderosa Pine) will provide you with fascinating views of Palouse area and will leave an indelible imprint in your mind and heart. A 3,5 mile-long Pine Ridge Loop-Trail (which is included into National Trail System and was designated as National Recreation Trail) will take you to the Whitman’s County second highest point (with elevation of 3641 feet), and a smaller and less popular Sunset Trail will offer you a pleasant stroll around the campground, located in the park. All the shelters can be reserved by contacting the Park’s Office. Visiting the Kamiak Butte County Park you should remember that it’s gate is locked at dusk and you may stay there only if you are camping at Kamiak Butte County Park Campground. Also it should be mentioned that during the fire season smoking and making the campfires are forbidden in the park/on the trails. And at the peak of fire season the park can be closed, that is why before planning visiting it in summer it is recommended to contact the park office first.